This entry was posted in Devotions and Meditations, Faith & Culture and tagged belief, Bible miniseries, Christianity, Christology, Gospel, History Channel, Hollywood, Jesus, Television, The Christ. Serious and troubling question for me: what justification is there in casting a white man as the Middle Eastern Jewish Jesus and a black man as Satan? That’s as troubling to me as anything because if they wanted to be truly provocative, it should have been reversed. At the very least it was a move that reflected a complete insensitivity to race. How true, Randy. Cultural accommodation, or culture-blindness? I heard some noise about black Samson, but nothing about Scottish Noah or a host of other blue-eyed Anglos. Don’t get me wrong, these actors are great talents! Casting is good here, but we tend to think there is no anomaly at all in portraying Jesus as white. 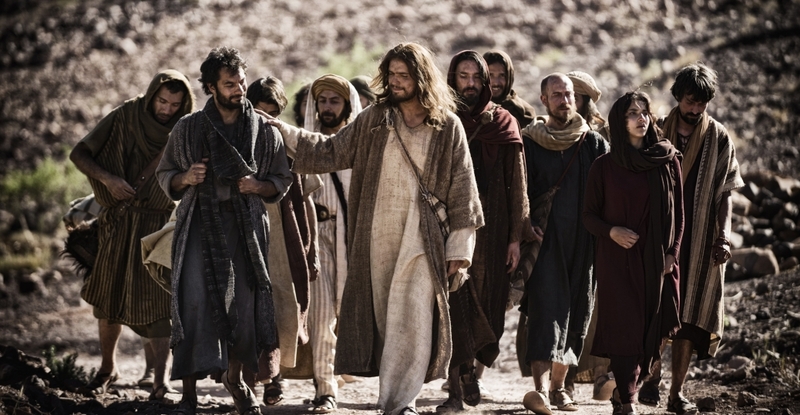 Jesus is played by a Portuguese actor Diogo Morgado. I think the cast is diverse and from all walks of life. I really don’t think you could say he is portrayed as a stereotype white man from the U.S.
My greatest concern about episode 4 was how Jesus raised Lazarus from the grave, in the movie. Does the Bible not say that He called him to come forth and then told the others to unwrap him? In the movie they have Jesus entering the grave and Lazarus is not wrapped. I see the raising of Lazarus as a symbol of when God would raise Jesus from His grave later. It wasn’t time for Jesus to enter any grave.